Princeton Athletics announced earlier today that Michelle Eisenreich will fill the role as the Head Coach of the Princeton Women’s Cross Country and Track & Field program. Eisenreich will be the second head coach for the women’s program as Peter Farrell retired at the end of this past academic year. If the name sounds familiar, it is because Eisenreich was previously assistant coach and then later Director of the Brown’s Cross Country/Track & Field program from 2000 to 2012. During that time, her throwing program became one of top programs within the conference that led to 30 conference titles, two then-Heps conference records, and one NCAA Champion (Craig Kinsley ’10 in the javelin in 2009). She later coached Kinsley at the 2012 London Games. 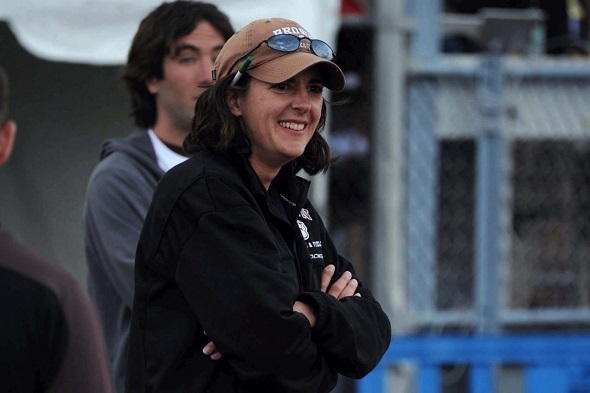 She left Brown in 2012 to take the Associate Head Coach position at Stanford University. During her four years in Palo Alto, she had 10 All-Americans in the throws and coached athletes in the World Junior Championships, the Pan-Am Championships, and World University Games. Welcome back to the Ivy League, Coach! This entry was posted on Wednesday, July 6th, 2016 at 9:05 pm. It is filed under Athletes, Spotlight. You can follow any responses to this entry through the RSS 2.0 feed.